Do You Need to Have Your Air Ducts Cleaned? Ducts are the primary transport vehicles for air circulation in forced-air residential heating and air conditioning systems. Ideally, your home’s ductwork is completely sealed, and all filters are working efficiently, minimizing any contamination that may enter the HVAC system. Unfortunately, dust, dirt, dander, fur and other unwanted contaminants still make their way even through the most well-kept systems, causing mold growth and a general decline in your home’s indoor air quality. This is the main reason why many experts agree that duct cleaning is an important part of your home’s HVAC maintenance. Despite its name, duct cleaning is not exclusive to the ductwork of a residential heating and air conditioning system. It also includes a thorough cleaning of the whole system, including various components typical in any HVAC unit. This means that return ducts, registers, grilles, heating coils, condensers, evaporators, drain pans, blower fan blades and housing, air handlers and other heat exchange units are also cleaned during duct cleaning. Keeping the HVAC system free of dirt and moisture is enough to maintain the air flow and quality within your home’s ductwork. However, for homes with pets, cigarette-smokers and/or family members with respiratory problems, proper cleaning of the ductwork carried out by a qualified professional is needed to maintain a certain level of indoor air quality. For homes suspected of having mold growth within the air duct system, it’s also important to have the same ducts cleaned thoroughly. Who Can Perform Duct Cleaning? The National Air Duct Cleaners Association (NADCA) qualifies HVAC professionals to provide proper duct cleaning services. You want a contractor with the proper certifications and a clean track record with previous clients. 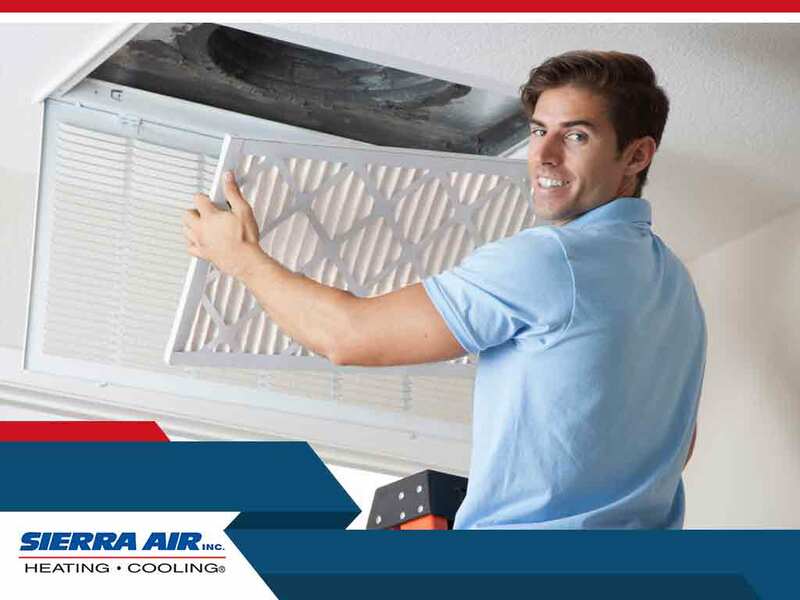 Sierra Air’s premiere duct cleaning service, Turbo Jet Cleaning, follows strict EPA, OSHA and NADCA requirements to provide clients with a marked improvement in indoor air quality, flow and overall efficiency. Experience Turbo Jet Cleaning today with Sierra Air Call now at (775) 800-5500, or fill out our online contact form to schedule an appointment.